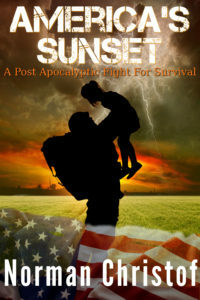 America’s Sunset, my first foray into the world of prepper fiction hit the Kindle store today, and I must admit to feel mixed emotions. It’s been a long time coming, and a moment for which I will be very grateful. Irregardless of how the book does on the sales charts, it feels pretty damn good to see it in the store. 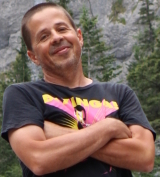 It’s been a long road to get the book there, and I won’t go into all the reasons for the long time in publishing, but let’s just hope the next one takes a fraction of the time. And, oh yes, there will be another book. It’s already about 80% outlined. I have a new process for outlining, thanks to Chris Fox and his wonderful video series. I went through a number of process for this book, and I must admit, that I spend significantly more time learning the craft of writing, than actually writing. I suppose, that’s a good thing, but here’s to hoping it makes a more enjoyable experience for the reader. Writing is certainly an ongoing process, and one of the things that I rather enjoy about it. Learning new things and experiencing challenges is a what life is all about for this writer. I feel, that at the moment I’m only a fraction of the way there, but that’s a good thing. Sometimes it’s the anticipation of what comes next that is more enticing than actually getting to where you were heading. That’s the feeling I’m going through right now, and even yesterday more so before I hit the publish button for the book. I actually got everything ready to go, then sat back for a few hours and just savoured the moment. I knew it would feel good to put the book out there, but I just wanted to wait a little and have some fun with the thought of being freshly published once again. I gotta admit, that even this morning it feels pretty good. Plus, I’ve seen a couple of sales already for the book. So, it’s off to the next book … right? Well, maybe tomorrow. Today, is a day for celebration. This is a big deal for me. One of many more to come I’m sure. So, let the party start!